Nutti Sámi Siida is featured in the press and other media both in Sweden and internationally. Find out who’s been writing about us most recently. 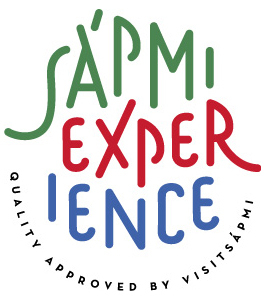 Swedish Lapland Visitors Board mentions Nutti Sámi Siida’s nomination for Stora Turismpriset 2016. The myths of Christmas are tied to the north of Sweden in many people’s imaginations. But what is the reality of living there for the indigenous Sámi people who have been there for centuries? Stockholm-based photographer and writer who contributes to National Geographic Traveler and other travel publications, on Reindeer Lodge, reindeer sledding and the northern lights. Nutti Sámi Siida shortlisted for Best for Responsible Wildlife Experiences. Nutti Sámi Siida Highly commended in the Best contribution to conserving cultural heritage category. Blog post: Nutti Sámi Siida Leads the Way for Responsible Development of Indigenous Ecotourism in Swedish Sápmi. Your Travel Choice Blog is an interactive communication platform established by The International Ecotourism Society. The blog post refered to the indigenous communities category.